Snapchat just announced that they will be having Currated Our Story content now through publishers such as CNN, Cosmopolitan.com other big names. These publishers can create slideshows of Snaps, embedded them to their site and Snaps Discover. 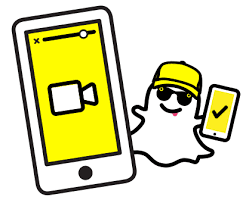 Snapchat Discover sees 75 million Our Stories viewers per month, Snap revenue shares with the publishers from ads run in the Our Stories. With Snap's great search feature such as keywords in captions and locations I think this is a great new feature. Just think, my story could be News on CNN. Would I share my stories? Yes! !